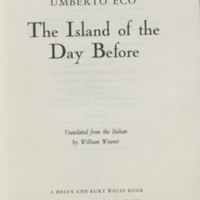 This novel about navigation and science in the mid-17th century relates the story of a young man who is shipwrecked on an island. Alone on the island, the protagonist is left to his own devices and searches for meaning to his life. He meets an old Jesuit monk who, with clocks and maps, considers the secrets of longitude. This strange tale tells of an international race to establish the prime meridian, from which the east-west coordinates of longitude would be based. In 1884, an international conference designated the prime meridian as running through the Royal Observatory in Greenwich, England from the North Pole to the South Pole. The title of the book comes from the main character’s belief that the island he is stranded on is on the International Date Line located at 180° longitude or the opposite side of the globe as Greenwich. 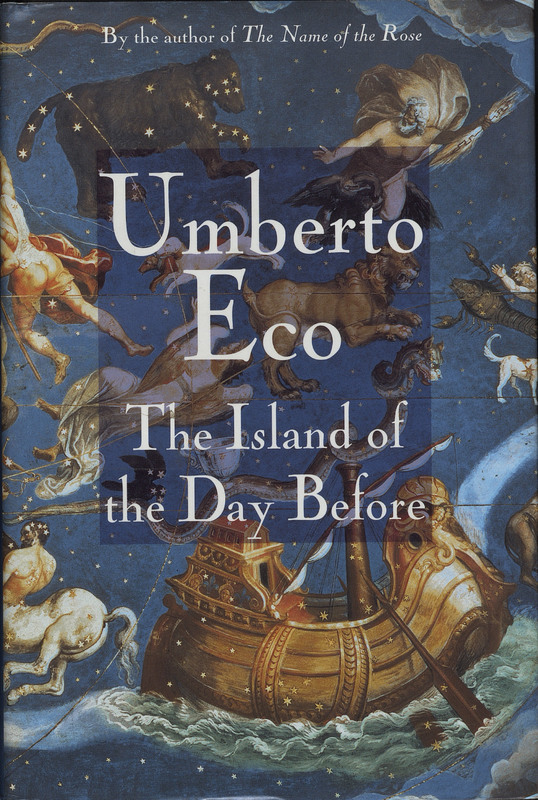 Umberto Eco was a professor of semiotics whose fiction works often incorporated historical issues. New York, San Diego, London: Harcourt Brace & Company, 1995.